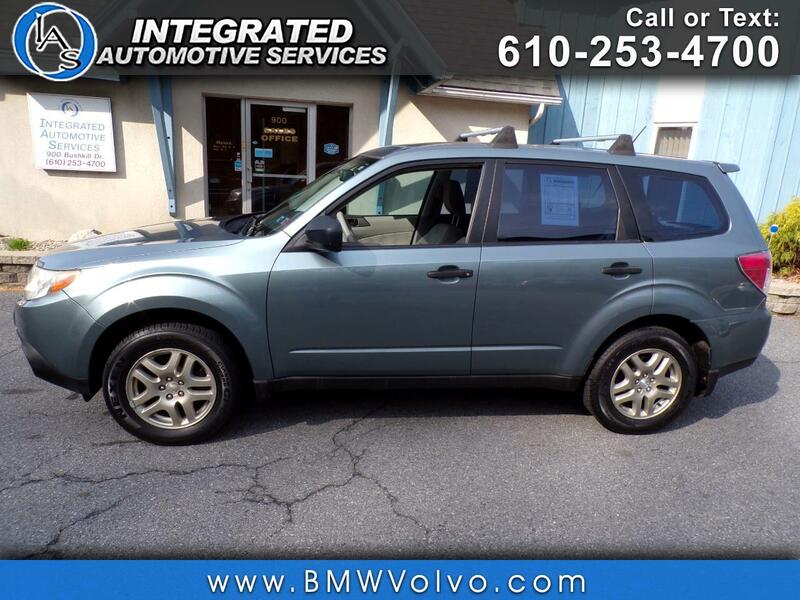 Used 2009 Subaru Forester 2.5X for Sale in Easton PA 18042 Integrated Automotive Services Inc. Recent Arrival! Clean CARFAX. Fresh Oil Change, New PA State Inspection, Fully Serviced, Clean Carfax, Non Smoker, 16" x 6.5JJ Steel Wheels w/Full Covers, Aero Cross Bar Kit, Rear Bumper Cover, Splash Guard Kit, Split folding rear seat, Utility Package, Wheel Arch Molding Kit.